So I emailed my doctor at the beginning of the week hoping for him to interpret my ct scan and lab results. Unfortunately I am still waiting for an email or a call back and will just have to try again next week. It’s one of those things where I want to know but at the same time, don’t really want to hear what he has to say. The ct scan was a comparison from the last one I had in 2013. One change noted was that I had pulmonary stents and those were open, no surprise. Another change noted was in reference to my bronchial wall thickening and then also a change in one area of my lung…findings possibly representing a “developing infection” which I assume is related to my FM but I want to clarify what “developing infection” really means. And then there were also more findings noted in regard to my right lung indicating more scarring. I also had masses on my spleen but they are completely calcified. The breathing tests also indicated moderate obstruction, which I had already known, well I thought it was mild but whatever, doesn’t really matter. But, nothing mentioned about my left lung having damage so that is a positive! Part of me thinks this is good news that he’s in no hurry to discuss the results meaning nothing to be too concerned about with little changes, but then another part of me wonders if there is something he needs to discuss with my other doctors before calling me. Obviously the scan showed that the masses are still growing but hopefully just at a slow rate…I guess that is what I want to hear? With my diabetes, I have continued to be in contact with my doctor and my sugars are finally starting to improve after some major changes to my insulin. Oh, and I am experimenting with oils and healthier eating, even making brownies with coconut oil…but is that really healthy?! Ha! 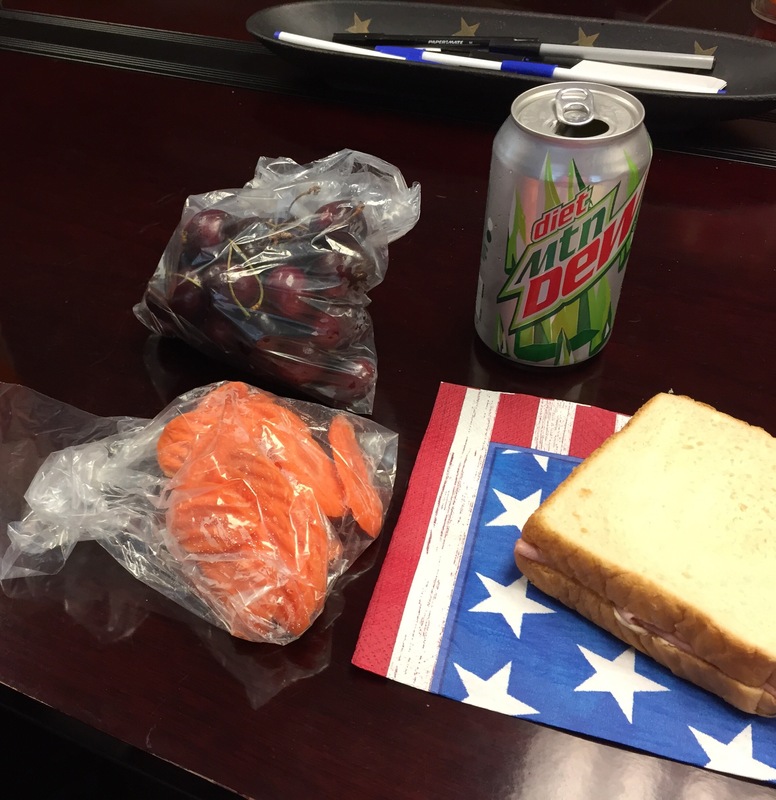 And I even shocked my coworkers for out to eat Friday…I brought my own lunch instead (not the best but a start, and healthier than fast food) as well as splurged on a pop…after drinking my lemon water of course!! I think my coworkers are starting to get concerned now! Haha! As far as my book, also waiting patiently for Westbow to get back to me in regard to the next stages so this too is going slower than I planned….good thing God’s plans always turn out better than mine! You wrote this before we spoke, but yes, coconut oil in brownies is health(ier)!! Go Becky! And nice job with the healthy eating, it will pay off. Omg…Tim’s birthday “month!” ;P Sorry to hear there was growth, I know you expected it and it’s part of the disease..but it’s still crappy news and I hope you are right and it’s growing very slowly. Hopefully you can ask your dr. some follow up questions soon.